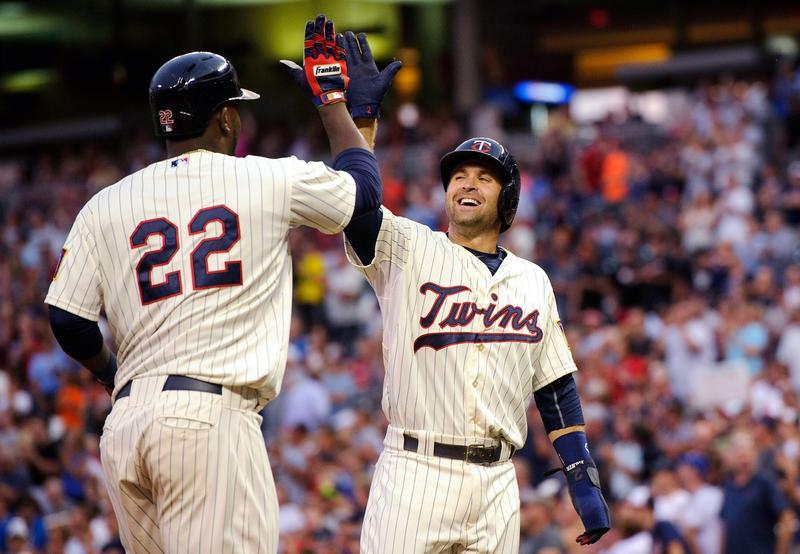 Season preview: Are the Twins ready to be a playoff team? Last year the Twins emerged from the wreckage of four consecutive 90-loss seasons sooner than anticipated, out-performing expectations by climbing above .500 in Paul Molitor's rookie season as manager. Miguel Sano immediately established himself as the big bat around which the lineup can be built, leading the way for a deep, upside-rich farm system that's ready to stock the Twins' roster with young talent for years to come. It's a fun time to be a Twins fan again. However, rather than build on that momentum and their sooner-than-expected contender status by making a series of significant offseason moves to beef up the roster the Twins basically stood pat. They went outside the box to replace Torii Hunter in the lineup by spending $25 million on Korean slugger Byung Ho Park and addressed the organization-wide lack of catching depth by trading Aaron Hicks to the Yankees for John Ryan Murphy. And that was it. No significant additions were made to a pitching staff that was 10th among AL teams in ERA last season after ranking dead last from 2011-2014 and one of the team's best second-half pitchers, Tyler Duffey, was sent back to Triple-A in favor of contractual albatross Ricky Nolasco. 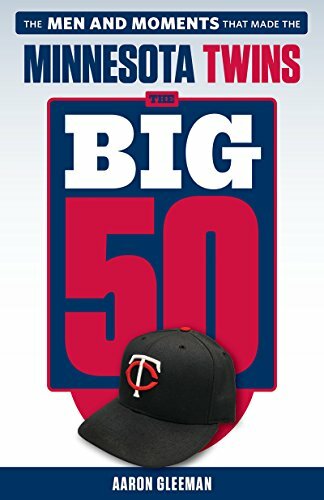 Rumors that the Twins would trade Trevor Plouffe to open up third base never materialized and led to their shifting the 6-foot-5, 270-pound Sano to right field despite zero outfield experience. Aside from some minor tinkering, the Twins' offseason consisted of two moves and was over by December 1. And while the perception is that the Twins are a young team on the rise thanks to Sano and an impressive farm system, the actual Opening Day roster is heavy on veterans. Kyle Gibson is the youngest member of the rotation at 28, the average age of the pitching staff is 30, and only three of the nine Opening Day hitters are younger than 27. Their relative inactivity leaves plenty of room for criticism, particularly on the pitching side, and the front office's decades-long conservative streak always offers a viable explanation. With that said, the Twins' disinterest in adding even moderately priced veterans to an 83-win team is easy to explain: Terry Ryan and company are convinced the young talent they've stockpiled through all the losing is now ready to turn the Twins into winners. Just not right away, apparently. Jose Berrios is an elite pitching prospect and many teams would have promoted him in the middle of last season, but he's back at Triple-A with Duffey for a second go-around because the Twins spent the past two offseasons handing out long-term deals to mediocre starters. Based on service time considerations the Twins should be planning for Berrios to debut in late April or early May, but that makes the shaky assumption that they'll be ready to ditch veterans by then. Bypassing the many veteran relievers available via trades and free agency may hurt the Twins in the short term, but they clearly believe that by midseason at least one or two good bullpen arms will step forward from a group of hard-throwing prospects that includes Nick Burdi, Alex Meyer, Brandon Peterson, J.T. Chargois, Jake Reed, and Luke Bard. They had similar hopes heading into last year and the payoff was non-existent, but Burdi looks especially close to the majors now. If by midseason Berrios and Duffey are leading the rotation turnaround and Burdi or Meyer have joined Trevor May and Kevin Jepsen setting up for Glen Perkins then the lack of offseason pitching moves will look prescient. If instead Rochester's pitching staff is thriving and Minnesota's pitching staff is again among the league's worst the fingers will point themselves. Right now the Twins' pitching looks mediocre at best, but the cavalry is coming. Or at least that's the plan. Offensively most of the cavalry has already arrived and the young, crazy talented starting outfield of 22-year-old stud prospect Byron Buxton flanked by 23-year-old Sano and 24-year-old Eddie Rosario may tell the story of the 2016 season. That trio has the potential to be the Twins' three best players, but Buxton has yet to prove himself as a hitter, Rosario's lack of discipline threatens to stall his development, and Sano's right field sojourn threatens his health and the team ERA. Here's the beauty of the Twins' farm system: They also have 23-year-old outfielder Max Kepler, a consensus top-100 prospect coming off an MVP-winning campaign at Double-A, waiting in the wings at Triple-A. Their outfield options are so young, so talented, and so plentiful that Oswaldo Arcia--a 25-year-old former top prospect with a .741 OPS in the majors--is an afterthought. If the Twins take a big step forward this season the young outfield figures to be a driving force. Park is neither young nor inexperienced, winning a pair of MVP awards and four home run titles in Korea through age 28, but he's an MLB rookie for whom outlooks vary wildly. Based on his Hall of Fame numbers in Korea, the scouting reports from people who watched him there, and his spring training showing it's clear that Park will hit for big-time power, but that power will likely come with tons of strikeouts and a modest batting average. For years the Twins' lineup was lefty dominated, but adding Sano and Park to Plouffe and Brian Dozier has swung the balance to the right side. In fact, this might be the most right-handed pop any Twins lineup has ever featured and Target Field is an ideal home for right-handed power. Six of the nine Opening Day hitters are right-handed, along with switch-hitter Eduardo Escobar and lefties Joe Mauer and Rosario. Mauer simply hasn't been the same since suffering a concussion in August of 2013 and at age 33 the odds are heavily stacked against him being more than an above-average first baseman, but his on-base skills are desperately needed in a lineup long on power and short on OBP. Last year Sano and Mauer were the only Twins to crack a .330 on-base percentage and all the right-handed power bats need base-runners to drive in. Escobar has quietly been one of the best shortstops in Twins history whenever they've actually given him a chance to play the position regularly, hitting .285/.331/.452 with solid defense in 203 career starts. For decades the Twins have repeatedly failed to find competent offensive shortstops, but Escobar is a switch-hitter with plus power for the position and has the ability to lengthen the lineup considerably. He's turned a lot of people--me included--from doubters to believers. Nearly every hitter in the lineup comes attached to a question mark because of inexperience or injuries and that makes it tough to feel confident predicting how the offense will fare overall, but it's impossible to ignore how much young upside, right-handed power, and depth the Twins have assembled. If they get any sort of decent bottom-of-the-order production from the catcher spot and Buxton the Twins are going to score a bunch of runs. And they'll need to, because the pitching staff with by far the fewest strikeouts in baseball since 2008 is again lacking the same type of upside and power that fills the lineup. There is some depth in that Ervin Santana, Phil Hughes, Tommy Milone, and Gibson are solid veteran starters and May, Jepsen, and Perkins are a strong bullpen trio, but at a time when MLB-wide strikeouts and velocity have never been higher the Twins simply lack firepower. That could change if Berrios and Burdi receive quick call-ups and thrive right away, but counting on two prospects who've never thrown a pitch in the big leagues to drag an entire staff kicking and screaming into the power pitching era is probably wishful thinking. Molitor keeping the lesser starters on a short leash could be crucial, because turning games over to fresher, harder-throwing relievers often makes more sense than risking another trip through a lineup past 75 pitches. Based on the Opening Day roster the Twins look mediocre, with an above-average offense and a below-average pitching staff. Based on the much younger, higher-upside roster they could begin transitioning to as soon as late April the Twins absolutely have a chance to build on last season's surprising success by making a run at the AL Central title. They just need to trust the youth and have it pay off. And here's the best part: This figures to be the worst Twins team for a long time. Three weeks after placing the high bid of $12.85 million to secure an exclusive, 30-day negotiating window with Korean slugger Byung Ho Park the Twins signed the 29-year-old first baseman to a four-year, $12 million contract that includes a $6.5 million team option for a fifth year. It's a very team-friendly deal and reports from Korea suggest that Park felt the Twins low-balled him during negotiations but basically just accepted anyway because he wants to play in MLB. Certainly a total commitment of $24.85 million is not insignificant and there's still plenty of risk associated with Park because he's untested in America, but $6 million per season for a starting designated hitter/first baseman is well below the market rate. Last offseason Billy Butler signed a three-year, $30 million deal with the A's, Adam LaRoche signed a two-year, $25 million deal with the White Sox, and Kendrys Morales signed a two-year, $17 million deal with the Royals. LaRoche was 35 years old and coming off a good but not great season, while Butler and Morales were both coming off career-worst years at ages 29 and 32 respectively. None of the three free agents were hot commodities and yet their their average annual salaries are $12.5 million, $10 million, and $8.5 million. You get the idea. Park could have turned down the Twins' offer and remained in Korea, but chose to start his MLB career without waiting another year. Last offseason Jung Ho Kang became the first prominent hitter to go from the Korean Baseball Organization to MLB when the Pirates bid $5 million for his rights and signed him to a four-year, $11 million contract. 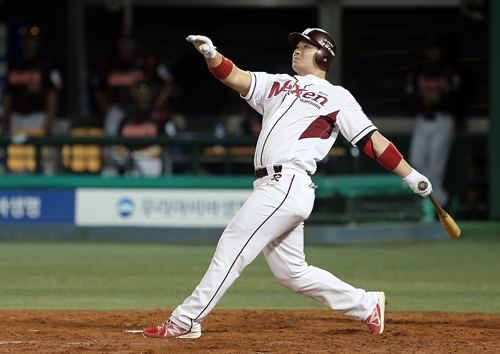 Kang had a fantastic rookie year, hitting .287/.355/.461 in 126 games split between shortstop and third base, and the assumption was that his success would give American teams more confidence investing in Korean hitters and raise Park's price tag. And it did, raising the posting fee from $5 million to $12.85 million, but Park's actual contract is for the same length and just $1 million more than Kang's deal while also including a fifth year of team control at a modest salary. If the Twins believe Park has star potential than this signing has a chance to be an incredible bargain and even if he turns into merely an average player they will still have dramatically underpaid. Park is a two-time MVP winner in Korea and finished runner-up for the award this year, hitting .343/.436/.714 with 53 homers in 140 games. His high strikeout rate and the lack of previous KBO-to-MLB data points beyond Kang make any statistical projections even more of a guessing game than usual, but Park's raw power is universally regarded as outstanding and at $6 million per season for four years the risk taken by the Twins barely makes a dent in their payroll plans. This year all MLB first basemen and designated hitters combined to bat .260 with a .335 on-base percentage and .445 slugging percentage, so Park need not duplicate his crazy KBO numbers to provide major value to team that has struggled to develop power hitters for decades. Ultimately the bar for evaluating Park's performance should be judged on that first base/DH baseline as well as who the Twins move to make room for him in the lineup. There are two clear options. One is trading third baseman Trevor Plouffe and shifting Miguel Sano to third base to open DH for Park. In that scenario the Twins would downgrade defensively, but could upgrade offensively if Park tops Plouffe's modest .244/.307/.435 production and would get value back in the trade. Another option is keeping Plouffe, at least for now, and giving Sano regular action in the outfield following the trade of Aaron Hicks to the Yankees. Other options exist and surely there will be unrealistic but vocal calls for the Twins make room for Park by parting ways with Joe Mauer despite $69 million remaining on his contract, but trading Plouffe or turning Sano into an outfielder are the realistic solutions. For any of those scenarios to work out well the Twins and their international scouts need to right about Park and that's a risk, but given his power potential and the surprisingly reasonable price tag it's one worth taking. In one of the most unexpected, out-of-nowhere moves in team history the Twins out-bid 29 other MLB teams for exclusive negotiating rights to Korean first baseman Byung-ho Park. Their high bid was $12.85 million, which goes to his Korean Baseball Organization team for a 30-day window in which to negotiate a separate contract with Park. If the two sides fail to reach an agreement the $12.85 million would be refunded to the Twins in full and Park would remain in Korea. Park has won multiple MVP awards and had a monster 2015 in which he hit .343/.436/.714 with 53 homers in 140 games, so MLB teams bidding for the 29-year-old's rights has been a fairly big story. Nearly every team was linked to Park and national reporters whittled down possible landing spots by identifying 26 of 30 teams as not the high bidders. Monday morning people started doing the Twins-related math and about an hour later news broke that they were the winners. There are three key questions surrounding Park right now. One is the Twins' chances of actually signing him and how much he'll cost if they do, which is difficult to predict other than to say they intend to sign him and the price tag figures to be reasonable compared to MLB free agents. Last offseason the Pirates won the negotiating rights to Korean shortstop Jung Ho Kang for $5 million and signed him to a four-year, $11 million deal, but Kang's success raised the bar for Park. Assuming he signs the next question is how he fits in the lineup. It's not a seamless fit given the existing logjam of first basemen, corner outfielders, and designated hitters, but there are simple solutions. Two weeks ago I wrote about the possibility of trading third baseman Trevor Plouffe and moving Miguel Sano to third base, which would open up the DH spot for Park or Joe Mauer. 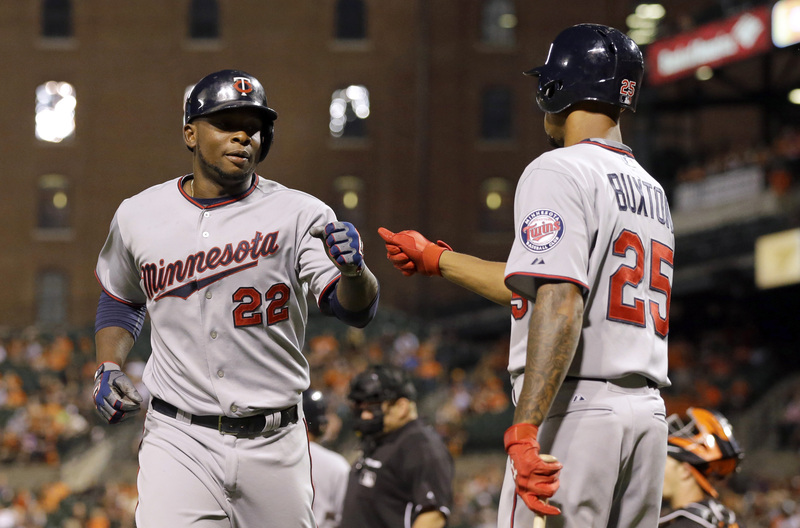 Recently the Twins have talked about giving Sano some outfield action, which might also work. Whatever the case, getting Park's right-handed power bat into the lineup is certainly doable and the Twins clearly believe he has big-time upside. His jaw-dropping raw numbers during the past three seasons include hitting .322 with an 1.100 OPS while averaging 55 homers and 100 walks per 150 games, but beyond that the Twins have scouted Park extensively in Korea and feel his skill set will translate to middle-of-the-order power in America. Their scouts may be proven wrong and the lack of data points for KBO-to-MLB transitions makes accurate statistical projections even more difficult than usual, but Kang's success with the Pirates this year is reason for optimism and if nothing else everyone seems to agree that Park has huge raw power. His ability to control the strike zone and make consistent contact are both potential red flags, but the same can be said of untested-in-MLB power hitters from any country. Park is a gamble, but the money being invested isn't especially huge in an MLB-wide context and he can provide a sizable payoff without even approaching his absurd numbers in Korea. This year MLB first basemen and DHs combined to hit .260/.335/.445. Plouffe has hit .245/.308/.420 for his career. Oswaldo Arcia is at .243/.305/.437. Kennys Vargas is at .259/.299/.408. You get the idea. Those are the standards to which Park should be held. Park wasn't just good in Korea, he was special. 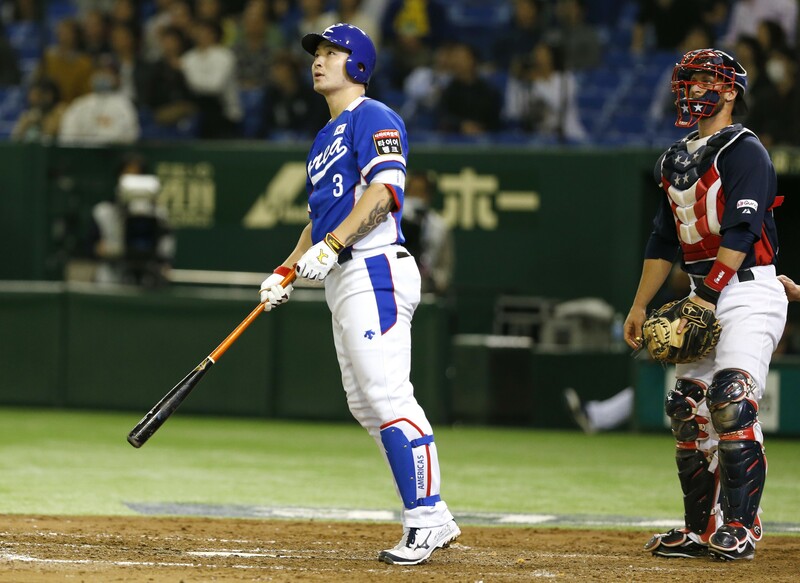 For three years he hit .320 with 50-homer power and 100-walk plate discipline, producing an OPS that led the KBO in 2013, ranked second behind Kang in 2014, and ranked second behind Eric Thames in 2015. Kang headed to America after leading the KBO in OPS two years ago and then hit .287/.355/.461 with 15 homers in 126 games for the Pirates as a 28-year-old rookie, including .310/.364/.548 in the second half. Thames did the opposite, going to the KBO after struggling to establish himself in MLB as an American-born former Blue Jays prospect and because of that he provides a much less optimistic example. However, even Thames isn't necessarily cause for Park pessimism. For one thing he was hardly a disaster in MLB, hitting .250/.296/.431 with 21 homers in 181 games. Thames' career OPS in MLB is .727. By comparison, Plouffe's career OPS is .728. Beyond that Thames received fewer than 700 plate appearances in the majors, last played in MLB at age 25, and hit .312/.389/.506 in 200 career games at Triple-A. Considering he posted a .727 OPS in limited playing time through age 25 after faring well at Triple-A it's not a stretch to think he eventually would have developed into a .750-.800 OPS hitter if given more opportunity. At the very least, Thames thriving in Korea isn't reason to brush off Park thriving in Korea. Obviously the Twins are hoping Park hits .290 with 30 homers and lots of walks. Because of his high strikeout rate in Korea and the uncertainty surrounding his skill set attached to the elite raw power it's also possible he'll fit more into the category of low-average, high-power righty bats like Mike Napoli and Josh Willingham on the high end or Mark Reynolds and Chris Carter on the low end. And there are viable worst-case scenarios too, of course. Ultimately this comes down to the Twins' international scouting department properly evaluating Park's potential. There's plenty of reason to be skeptical about that related to their track record and Park specifically, but the cost to find out is likely in the same middle range as contracts they gave to "proven" MLB veterans like Phil Hughes, Ervin Santana, and Ricky Nolasco. And if they're right about Park the Twins get a middle-of-the-order bat for a below-market price tag. For a lot more about Park and the domino effect his arrival has on the Twins' lineup and offseason plans, check out this week's "Gleeman and The Geek" episode. Trevor Plouffe was a high school shortstop from California when the Twins drafted him with the 20th overall pick in 2004. At the time some teams preferred Plouffe's upside as a pitcher, but the Twins viewed him as a shortstop and that's where he played year after year in the minors. In all Plouffe logged 5,400 innings and played 680 games as a minor-league shortstop, including 250 at Triple-A. And then the Twins called him up and it looked like he'd never played the position. Plouffe played 54 total games at shortstop for the Twins in 2010 and 2011--exactly one third of a full season--and committed 12 errors. Most of them were of the throwing variety, including several routine plays air-mailed into the seats behind first base. In those 54 games Ultimate Zone Rating said he was 10 runs below average and Defensive Runs Saved said he was 15 runs below average. Perhaps at some point he would've improved, but Plouffe simply wasn't a big-league shortstop. And there's no shame in that. Playing shortstop in the big leagues is incredibly difficult and most shortstop prospects end up shifting to less demanding positions before even reaching the majors. Plouffe's situation stood out only because he'd played so much shortstop in the minors and at the time of his call-up the idea of him playing shortstop for the Twins wasn't viewed as far-fetched. It was, though, and by mid-2011 he was being tried at other positions. First he got some action at second base, which is where shortstops who lack arm strength often wind up. Brian Dozier is an example of the shortstop-to-second base shift working out well, but Plouffe didn't lack arm strength and was too big/not quick enough to make the transition. Next he got some action in right field and left field, which is where shortstops who out-grow the position often wind up. Plouffe looked fine there, but his bat seemed light for a corner outfielder. In fact, at the time his bat seemed light in general. In addition to playing shortstop in the minors Plouffe also hit like a shortstop in the minors, which is to say not well. Overall as a minor leaguer he batted .258 with a .405 slugging percentage, failing to crack a .750 OPS in 2004, 2005, 2006, 2007, 2008, 2009, or 2010. Everything changed for Plouffe offensively at Triple-A in 2011, as he broke out with a monster 51-game stretch in which he hit .313/.384/.635 with 15 homers. Plouffe shedding his "light-hitting shortstop" label offensively right around the time he shed his "shortstop" label defensively was likely tied together as part of his physical maturation and was definitely good timing, as it allowed the Twins to give him a long look at third base in 2012. It wasn't a smooth transition, as he struggled to make routine plays and graded out poorly overall, but Plouffe's arm strength, vast shortstop experience, and hard work eventually paid off. By mid-2013 he no longer looked like a fish out of water at third base and the sudden power he'd shown at Triple-A in 2012 stuck around for good. After a decade as a light-hitting shortstop with shaky defensive chops Plouffe was a strong-armed, power-hitting third baseman. He produced 21 homers per 150 games from 2012-2015 and his defensive stats improved from bad to mediocre to good, making him a solidly above average all-around third baseman. And that's where Plouffe sits now, at age 30 and with his Twins future in question. To make the transition from light-hitting, poor-fielding shortstop to power-hitting, good-fielding third baseman is remarkable in itself, as evidenced by Plouffe being one of the Twins' best players for the past four seasons. However, his subsequent inability to take the next step offensively by adding other skills to his 20-homer power has caused Plouffe to stagnate. He hit .244/.307/.435 this season, which is nearly identical to his combined .249/.314/.422 line from 2012-2014. His walk and strikeout rates have remained remarkably stable and the biggest change in his performance since 2012 was grounding into a league-high 28 double plays this year. Plouffe is established a .250 hitter with 20-homer power, sub par plate discipline, and poor speed, which adds up to a .725-.750 OPS at a position where the MLB average was a .755 OPS in 2015. Stagnating as an above-average player is far from the worst thing, but there are other factors at play. For one thing, Plouffe's salary is rising. He made $4.8 million this season and is in line for $8 million or so in 2016 via arbitration. Beyond that, the Twins control him for just two more years. After making, say, $8 million in 2016 and $11 million in 2017, he'll be able to hit the open market as a free agent and potentially leave for nothing. And then there's Miguel Sano. Sano was a shortstop when he signed with the Twins as a 16-year-old in 2009 and played a few hundred rookie-ball innings there around the time Plouffe was showing he couldn't play shortstop in the majors. Sano quickly shifted to third base, where his massive size led to constant doubts about his ability to remain there long term. Missing all of 2014 following elbow surgery cast even more doubt, but the Twins have consistently insisted that Sano can play third base. Sano made his long-awaited MLB debut in July and was a revelation, hitting .269/.385/.530 with 18 homers, 17 doubles, and 53 walks in 80 games. He transformed the Twins lineup in one of the best rookie seasons in team history, but he also did so as a designated hitter because of Plouffe's presence at third base. Sano played nine games and logged 77 innings at third base and looked decent, but the sample size is far too small to be worth evaluating. It seems safe to assume Sano will never be a standout defensive third baseman and based on his size and level of athleticism at age 22 it also seems safe to assume he won't be playing third base, period, by the time he's 30. However, what position he's playing at age 30 is a question for 2020 rather than 2016 and if Sano can play a reasonably competent third base in the short term trading Plouffe becomes a viable option for the Twins. By trading Plouffe the Twins would accomplish several things. Trade interest is always difficult to gauge, but presumably several teams would pursue Plouffe as a multi-year answer at third base and would be willing to surrender something of short- and/or long-term value. Parting with him would also create $8 million in spending money for 2016 and another $10-12 million for 2017, which could certainly come in handy in the Twins' never-ending search for pitching help. Going from Plouffe to Sano at third base would hurt defensively, but Plouffe isn't exactly Brooks Robinson and it could also lead to an upgrade offensively. Not only is Sano a better hitter than Plouffe, moving him to third base would open up the DH spot for another big bat. Plouffe's usual .725-750 OPS is solid for a third baseman, but for lineup purposes the Twins would essentially be replacing him with a DH and finding a DH capable of topping a .750 OPS shouldn't be difficult. In fact, the Twins currently have a logjam of young first basemen, designated hitters, and corner outfielders. Sano falls into that category or perhaps more accurately that category has the honor of including Sano, which is why his being able to play third base could create opportunities that wouldn't otherwise exist for log-jammed hitters like Oswaldo Arcia, Kennys Vargas, Josmil Pinto, Max Kepler, and Adam Walker. To frame a potential Plouffe trade as the Twins getting rid of him would be misleading, because if there are no appealing offers on the table they should absolutely keep him and feel just fine about doing so. But thanks to Plouffe's growing salary and nearing free agency, Sano's (large) presence, and the abundance of young bats in need of opportunities in Minnesota or elsewhere a trade is a very viable option. It's exactly the type of move a smart team should explore. 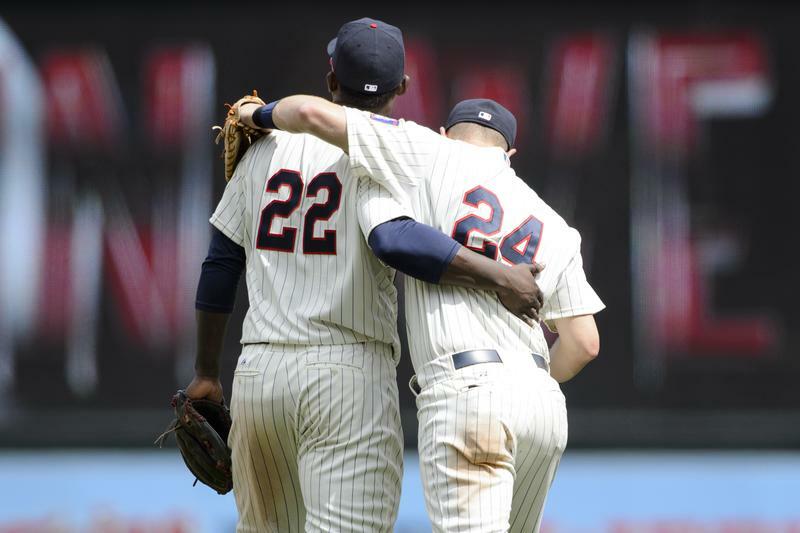 For more on the Twins' possible offseason plans, including a potential reunion with A.J. 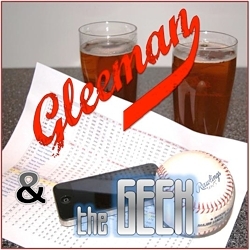 Pierzynski, check out this week's "Gleeman and The Geek" episode. It's difficult to be the most valuable player on a team when playing only 80 of 162 games, but two things make Miguel Sano a special case. One is that he was great in those 80 games, ranking as one of the best hitters in baseball and repeatedly coming through with key hits in key spots. Two is that none of the Twins' full-time, season-long players had particularly outstanding years, leaving Sano's great half-season to compete against good but not great full seasons. Called up from Double-A on July 2 after the Twins went 11-17 in June, he was immediately the best, most patient hitter in the lineup. Sano hit .269/.385/.530 with 18 homers and 53 walks in 80 games, including a 1.055 OPS with runners on, a 1.028 OPS with runners in scoring position, and a 1.100 OPS in close-and-late situations. He easily led the team in the context-dependent stat Win Probability Added and ranked 17th in the entire league despite not playing in April, May, or June. At age 22 he forced pitchers to throw strikes and punished them when they gave in. An incredible 28 percent of Sano's plate appearances went to a full count, compared to the MLB average of 12 percent, and he posted a 1.281 OPS on 3-2 pitches. He also batted a ridiculous .700 with a 1.650 slugging percentage when putting the first pitch in play, punishing get-me-over strikes too. Sano's rookie season wasn't just good or even great for a rookie, it was one of the best in Twins history. Sano's adjusted OPS+ of 146 ranked seventh in the AL behind only Mike Trout, Miguel Cabrera, Nelson Cruz, Josh Donaldson, and Edwin Encarnacion. Sano tied with Chris Davis, who led the league in homers for the second time in three seasons. Within the context of team history, the only other Twins hitters to top an OPS+ of 145 during the past 20 seasons are Joe Mauer, Justin Morneau, and Jim Thome. None of them did it more than once. Sano is 1-for-1. As a proponent of cumulative production, defense, and positional adjustments being big factors in player value the idea of a half-season designated hitter being team MVP is a tough sell, but Sano had a truly special half-season that was elevated even further in "clutch" situations and it seemed odd not to prefer 80 games of that compared to 150 games of slightly above-average. Sano was the Twins' best player for every moment he wore a Twins uniform and that gets my MVP. Brian Dozier appeared to be having a breakout year when he followed up a very strong 2014 season with an even better first half, hitting .256/.328/.513 with 19 homers, 48 total extra-base hits, and 34 walks in 88 games to make his first All-Star team. Seemingly established as one of MLB's best second basemen, he then collapsed in the second half and hit just .210/.280/.359 to finish with worse overall numbers than he posted in 2014. Starting strong only to fall apart in the second half in back-to-back years is worrisome and calls into question whether Dozier's durability is actually a strength, but the end result was still plenty valuable. He led all MLB second basemen in homers (28), extra-base hits (71), and runs scored (101), ranked second in RBIs (77), walks (61), and total bases (279), and posted a .751 OPS compared the MLB average of .711 for the position. Toss in up-the-middle defense that rates slightly below average according to most metrics and Dozier was one of the top 10 second basemen in MLB this season. It may have been less jarring for Twins fans to watch if he'd simply been a .750 OPS hitter all year instead of being an All-Star in the first half and replacement-level in the second half, but in assessing all-around value for the season as a whole Dozier has a reasonable argument for being team MVP. Kyle Gibson took a step forward this year, staying healthy with a full-season workload again and upping his strikeout rate by 25 percent while maintaining nearly identical rates everywhere else. Last season he walked 2.9 per nine innings, induced 54 percent ground balls, and allowed a .287 batting average on balls in play. This season he walked 3.0 per nine innings, induced 53 percent ground balls, and allowed a .287 batting average on balls in play. Those are remarkably similar numbers and Gibson was able to up his strikeouts from 5.4 to 6.7 per nine innings. He's unlikely to ever be a high-strikeout pitcher, but in both 2014 and 2015 his ground-ball rate ranked among MLB's top 10 and pairing that with even a decent strikeout rate can lead to big things. This year for Gibson that mix--along with better bullpen support and fewer blowup starts--led to slicing his ERA from 4.47 to 3.84 while leading the Twins with 195 innings. Trevor Plouffe had a typical Trevor Plouffe season, hitting .244/.307/.435 with 22 homers, 35 doubles, and a 124/50 K/BB ratio in 152 games while playing above-average third base defense. His production was nearly identical to his combined 2012-2014 line of .249/.314/.422 and in four seasons as the Twins' starting third baseman his OPS has never been lower than .701 or higher than .756. He is what he is, except for one big difference this year: Double plays. Plouffe grounded into 28 double plays, which led the league and tied for the most in Twins history. His previous career-high was just 12 double plays. Whether it was a one-year fluke or not, making two outs at a time so often--and in so many key, rally-crushing situations--took a big chunk out of Plouffe's value. Compared to all MLB third basemen he was almost exactly average--slightly below offensively and slightly above defensively. Eddie Rosario was called up from Triple-A to replace the injured Oswaldo Arcia on May 6 and never went back, hitting better than his recent minor-league track record suggested he would and impressing defensively with excellent range and a strong arm. Rosario's total lack of patience held him back, as he swung at everything on the way to a ghastly 118/15 K/BB ratio and .289 on-base percentage, but his other skills mostly made up for all the hacking. Rosario hit .267 with 13 homers, 18 doubles, and a league-high 15 triples on the way to a sturdy .459 slugging percentage. He nearly led the league with 16 outfield assists and tracked down fly balls that many recent Twins left fielders wouldn't have even gone after. Long term Rosario risks failing to fulfill his potential if he doesn't develop some semblance of strike zone control, but this season his extra-base power, speed, and defense made him an above-average regular at age 23. Demoted to Triple-A at the end of spring training, Trevor May moved into the rotation following Ervin Santana's suspension and posted the best secondary numbers of any Twins starter through early July. His reward was being moved to the bullpen, where May took the role change in stride despite wanting to remain a starter and logged 31.1 innings with a 2.87 ERA and 37/8 K/BB ratio while emerging as the team's primary setup man. When the Twins needed a starter, May stepped in and did a good job for three months. When the Twins needed a reliever, May shifted to the bullpen without putting up a Mike Pelfrey-like fuss and did a good job for three months. There's added value in that versatility, not unlike a position player with the ability to handle multiple spots defensively, and May finished his first full season in the majors with a 4.00 ERA and 110/26 K/BB ratio in 115 innings overall. Eduardo Escobar was as a square peg in a round hole when the Twins gave the shortstop job to Danny Santana and regularly used Escobar way out of position in left field. They finally came to their senses in July thanks to Santana's ineptitude and Escobar picked up where he left off as one of the AL's better shortstops. His overall value is tough to gauge because he struggled in left field and thrived at shortstop, but Escobar certainly isn't to blame for the team misusing him. He ended up starting 71 games at shortstop compared to 34 in left field or at designated hitter, plus nine more at second and third base. Overall he hit .262/.309/.445 with 12 homers and 47 total extra-base hits in 127 games. For some context his .754 OPS was 70 points higher than the average shortstop and slightly below average for corner outfielders, which is why Escobar's early usage was so silly and why his finally replacing Santana at shortstop made such a big impact. Suspended for the first 80 games, Ervin Santana initially fared well upon joining the rotation in early July before having a brutal six-start stretch from late July through late August in which he allowed 33 runs in 30 innings. At that point he had a 6.05 ERA and the four-year, $52 million signing looked like a disaster, but then Santana fixed his mechanics and was one of the league's best starters down the stretch with a 1.62 ERA and 47/14 K/BB ratio in his final 50 innings. There was nothing special about Santana's overall performance, which included a 4.00 ERA and 82/36 K/BB ratio with 12 homers allowed in 108 innings, but he was an above-average starting pitcher for 17 starts and that carries significant value just the same as it would if he'd been a prospect called up at midseason rather than a veteran banned from participating in the team's first 80 games. An afterthought for most of the season--including a month-long demotion to Triple-A despite being 28 years old with 500 innings as a big leaguer--Tommy Milone started 23 games and logged 129 innings with a 3.92 ERA. It wasn't always pretty and it was never flashy, but Milone had a better strikeout-to-walk ratio than Gibson, Santana, and Pelfrey while ranking second among all Twins starters in Win Probability Added behind only Gibson. It was only 10 starts, but Tyler Duffey saved the Twins' rotation by throwing 58 innings with a 3.10 ERA and 53/20 K/BB ratio down the stretch as veteran starters were dropping like flies and May was working out of the bullpen. After getting knocked around by the Blue Jays in his debut Duffey joined Santana as the only reliable starters for the final six weeks, completing at least six innings and allowing two or fewer runs in each of his last five starts. This week's blog content is sponsored by Casper mattresses, which offers a 100-day free trial with free shipping and returns. And you can get an extra $50 off by going to Casper.com/Gleeman and entering in the promo code GLEEMAN.